The Eddy K. Couture 2019 Collection illustrates glamour and sophistication featuring a style for every bride. Style CT225 is the perfect choice to demonstrate chic elegance. Its mermaid silhouette coupled with a delicate illusion back highlights the feminine body. 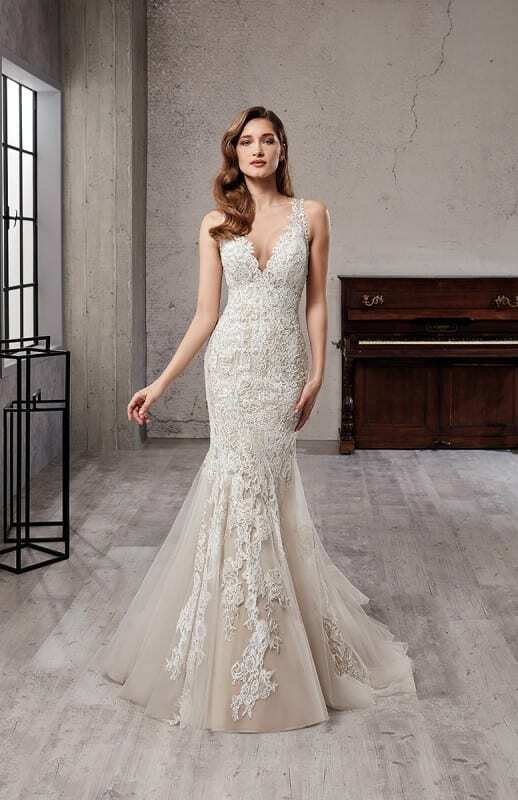 The lace from the bodice melts into cascading lace appliques adding unique detail to the tulle skirt making this style the perfect choice for your big day!